People living in northern Iraq voted overwhelmingly in favour of independence for the Kurdistan Region in Monday's controversial referendum. 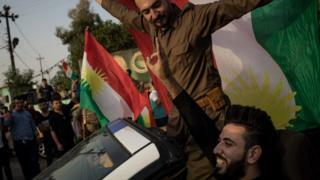 The electoral commission said 92% of the 3.3 million Kurds and non-Kurds who cast their ballots supported secession. The announcement came despite a last-minute appeal for the result to be "cancelled" from Iraq's prime minister. Haider al-Abadi urged Kurds to instead engage in dialogue with Baghdad "in the framework of the constitution". Kurdish leaders say the "Yes" vote will give them a mandate to start negotiations on secession with the central government in Baghdad and neighbouring countries. Iraq's parliament meanwhile asked the prime minister to deploy troops to the oil-rich region of Kirkuk and other disputed areas held by Kurdish forces. Kurdish Peshmerga fighters took control of Kirkuk, a multi-ethnic region claimed by the Kurds and Arab-led central government, when jihadist militants from so-called Islamic State (IS) swept across northern Iraq in 2014 and the Iraqi army collapsed. 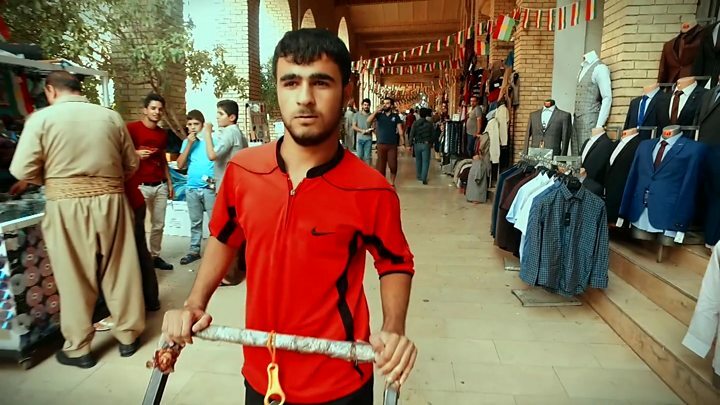 The referendum was held in the three Iraqi provinces that make up the Kurdistan Region, as well as "areas of Kurdistan outside the region's administration". Electoral commission officials told a news conference in Irbil on Wednesday afternoon that 2,861,000 people had voted "yes" to independence and 224,000 had voted "no". Turnout was 72.61% among those eligible to vote. In a speech to parliament before the result was announced, Mr Abadi insisted that he would "never have a dialogue" about the referendum's outcome with the Kurdistan Regional Government (KRG). The vote was vehemently opposed by Baghdad and much of the international community, which expressed concern about its potentially destabilising effects, particularly on the battle against IS. 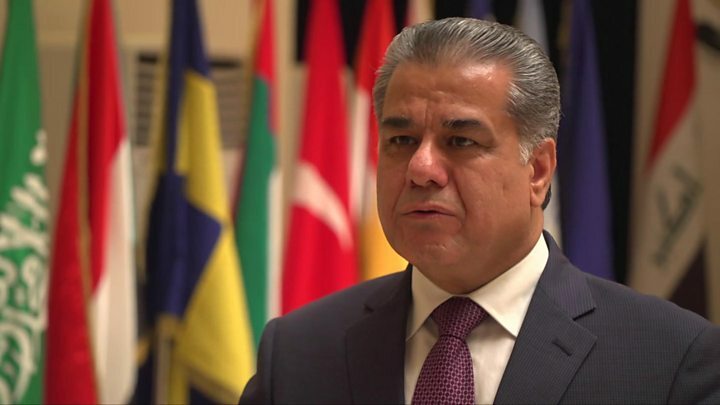 The KRG's transport minister said he was seeking clarification from Baghdad. "We don't understand how to give them the two airports," Mowlud Murad told reporters. "They are already subject to the Iraqi Civil Aviation Authority." State department spokeswoman Heather Nauert said on Tuesday that such a move "would not be an example of engaging constructively". Lebanon's Middle East Airlines and EgyptAir meanwhile warned customers they would halt flights to Irbil from Friday until further notice. Mr Abadi has also demanded control of all border crossings and oil revenues. In Iraq, where they make up an estimated 15% to 20% of the population of 37 million, Kurds faced decades of repression before acquiring autonomy in 1991.